Boney M. is coming to Los Angeles and you should be excited. 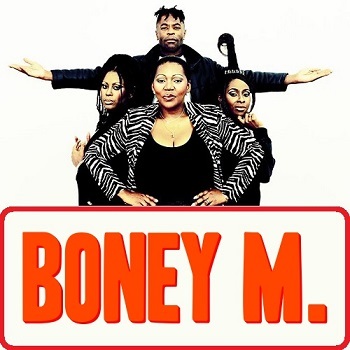 Even if you have no idea who Boney M. actually is, there’s a good chance you know all the words to a bunch of their songs. Miraculously, the reggae-inspired ensemble managed to release a half-dozen Christmas compilations between 1981 and 1998. Songs like “Little Drummer Boy”, “Zion’s Daughter” and the two-pronged disco-carol sensation “Mary’s Boy Child/Oh My Lord” quickly became synonymous with the holiday season. The rest of the year, you’d still hear “Daddy Cool”, “Rivers of Babylon/Brown Girl in the Ring” and, of course, their monster smash hit “Rasputin”, inspired by a Turkish folk song “Kâtibim”, that was on repeat all summer – igniting the dancefloor at every wedding you attended.